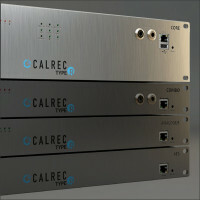 Calrec's Type R is a modular, expandable IP-based radio system. 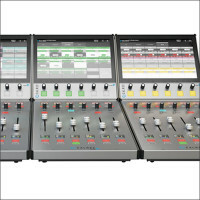 Type-R utilises standard networking hardware in combination with motorised fader banks and touch-screen software panels, which can be tailored to operator needs. 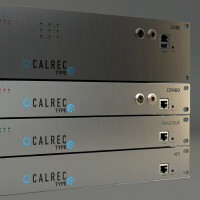 With a simple 2U core with integrated I/O resources, a single core can power up to three independent mixing environments. Whether used as independent studio consoles, microphone processors or utility mixing, the ability to use multiple mixing engines combined with the flexibility of the AES67 compatible network provides all the power you will ever need. 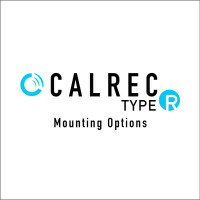 If you'd like to know more about the Calrec Type-R system, give us a call on 01727 821 870, or contact us to book a demo.